(by Phyllis Schlafly, Eagle Forum) – The man who is known to all Americans as “first in war, first in peace, and first in the hearts of his countrymen,” gave us much sound advice on how to keep our independence and freedom. George Washington’s advice is part of our American heritage that should be known to all our citizens. These words are still used in official oaths by Americans taking public office, in courts of justice, and in other legal proceedings. Washington’s words show that he was a man who believed in asking God’s help in every part of our private and public lives. 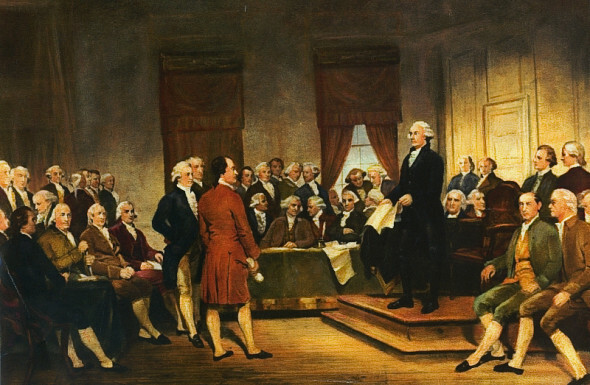 Washington at the Constitutional Convention in 1787. Washington’s advice on how best to keep the peace is thus in two parts: (1) we must be ready for war, and (2) just as important, the enemy must know we are ready. 1. One of the purposes of an editorial/commentary is to persuade. Phyllis Schlafly begins her commentary in paragraph 1, “The man who is known to all Americans as ‘first in war, first in peace, and first in the hearts of his countrymen,’ gave us much sound advice on how to keep our independence and freedom. George Washington’s advice is part of our American heritage that should be known to all our citizens.” What do you think of her assertion? Explain your answer. 2. What type of man do you think George Washington was (based on his own words and actions)? List three adjectives of character/personality. Explain why you chose the words you did. 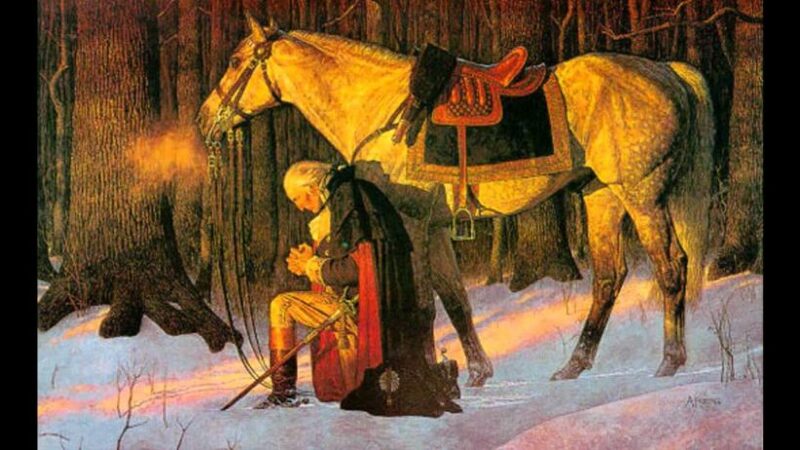 Do you think it is possible to understand George Washington’s religious beliefs by studying his own words and actions, or do you agree with the Mt. Vernon historians who assert, “When studying the religious beliefs of George Washington, it is difficult to make absolute, concrete conclusions. Depending on the source examined, Washington has been painted in differing lights ranging from a Deist to a believing Christian.”?